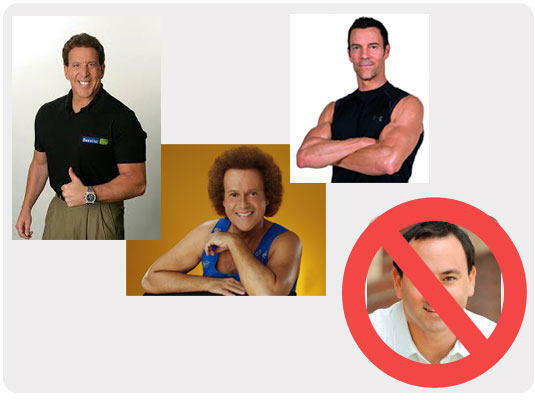 I’m also no Body by Jake or Tony Horton (from P90-X). I’m just a guy who wants to live a healthy life. So, on December 31, 2013, myself, Robyn (my wife) and two other couples decided to enter a “2014 Health Challenge”. For me, the goal of this friendly competition was to feel better through exercise, nutrition and meditation. While weight loss was not my primary goal for joining the challenge, I felt that I could easily lose 15 pounds of unwanted fat that mysteriously attached itself to my gut since I turned 40, two years ago. As we started the challenge, Paul and Kristi (two of our friends in the health challenge) suggested that we all get a Fitbit. I’m not a fan of wearing anything on my body – besides clothes – so I wasn’t too keen on the idea. However, as I learned about the unique features of this little gadget, I became overly impressed by this device that looks like a narrow wrist watch. In addition to tracking your activity level (by steps, by active minutes, by calories), the Fitbit also has a complete nutritional feature to educate you and guide your food choices. The Fitbit integrates all of these features into a very, very, very user-friendly app that works on most smart phones. Fyi… I never knew what a calorie was, or was not, before I got the Fitbit. I never looked at food labels as I had never been on a diet or health program. That said, the first three weeks of this contest were… miserable. However, the more I learned about healthy eating, the more fascinated I became by how my body responded to making good choices — like limiting select carbohydrates, like increasing water consumption, like eating fresh fruits and vegetables instead of packaged foods, like refraining from salad dressings that have more calories than the salad. Interestingly… After the first 30 days, I started to notice a fundamental change in my energy level. I wasn’t tired. I never got the dreadful, afternoon lull that haunted me every day at 2pm. I also noticed that my gut was getting smaller. Yep, I actually lost 5 pounds that first month. In month two, I changed absolutely nothing. I continued to exercise six days a week — targeting a 400 calorie burn during a run, an elliptical session or when playing racquetball. I continued to eat fresh foods including lots of raw vegetables like carrots, bell peppers and cucumbers instead of potato chips, tortilla chips, pretzels, Cheetos and Pirate’s Booty. I kept active — choosing to go on walks with Robyn and Ethan (my son), instead of watching television. I also used the Fitbit every day to guide my physical and nutritional choices. The Fitbit even has this fun social feature where you can text, cheer and taunt your friends. More Energy & More Belt Usage! The result of all this? I also lost another 6 pounds during the second month. Now, we are into the fourth month of the 2014 Health Challenge. The Fitbit has really guided me through this process. In total, I have lost 17 pounds – down from 197 to 180. But, more importantly, I have so much more energy to have fun with Ethan, Robyn, our friends and family. I don’t know if you have any interest in using a gadget like the Fitbit but I thought I would pass this story along as the Fitbit has really helped me. 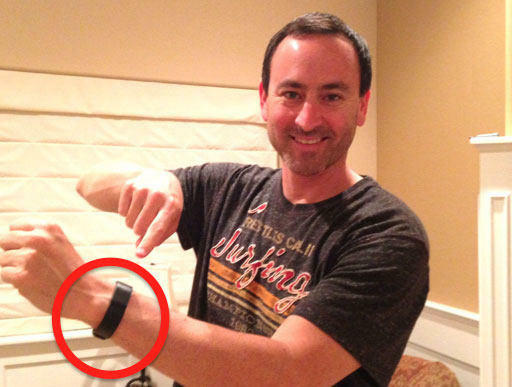 You can learn more about the Fitbit by clicking here. P.S. Do you have any comments or health tips you would like to share? If so, click here. Great story! Love the fitbit, don’t have one, but working on getting a bunch to give out at my company as the leader for our Energy 4 Performance in Life, all about increasing energy and driving healthy choices in our lives. Best think I learned was about nutrition, while I’ve always heard you needed to eat frequently the science behind it is fascinating and so realistic once put into practice. For instance, did you know that your body only needs about a half of sandwich at lunch, plus a piece of fruit to fuel you for the next 3 hours, if you eat any more than that it just goes to fat and guess what…you’ll still be in hungry in 3 hours (plus you’ll be tired after eating that big lunch). I took this to note and saw a few pounds drop, although I don’t have much on me due to my running. Thanks for sharing your success with this. If you want to add more heart health to the fitbit, check out the Basis watch, measures heart rate, temperature and sleep (without the need to tell it your are going to sleep) along with everything that the FitBit does. Of course those added features come at double the price. So glad you posted this. I’ve really been considering a fit bit. I have Polar heart rate monitor but it’s not as versatile.